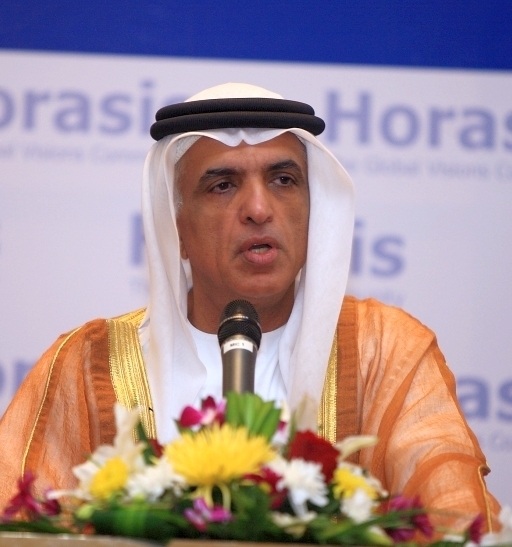 As the current Emir, Sheikh Saud Bin Saqr al Qasimi rules over Ras Al-Khaima, one of 7 emirates of the United Arab Emirates. 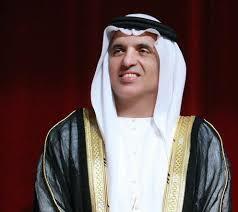 Born on February 10, 1956 in Dubai, Sheikh Saud is the fourth son of Sheikh Saqr bin Muhammad Al Qasimi. His father proceeded him as a UAE Supreme Council Member and Emir until his death in 2010. Educated in his homeland as a child, Saud Bin Saqr al Qasimi decided to pursue studying economics at the American University of Beirut (AUB) in 1973. In 1975 the Lebanese civil war broke out in Beirut, prompting Sheikh Saud’s decision to transfer to the University of Michigan. There he received a bachelor’s degree in economics and political science. 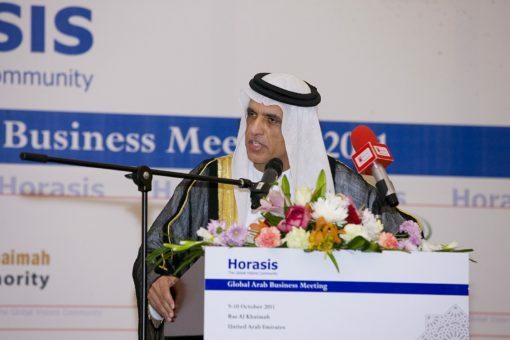 In 1989, Sheikh Saud recruited the help of Swiss-Lebanese engineer Khater Massaad to develop a series of comprehensive industrialization plans for Ras Al Khaimah. This resulted in the founding of RAK Ceramics, one of the ceramics brands in the world. For many years Sheikh Saud was the single largest shareholder of the company, before the board’s 2014 decision to sell a 30.6% stake in the business to Samena Capital. Sheikh Saud still continues to be a shareholder in the company. Sheikh Saud’s father Sheikh Saqr bin Muhammad Al Qasimi died on October 27, 2010. He had been ill for several months prior to his death. Having reached the age of 90 Sheikh Saqr was the world’s oldest reigning monarch at the time of his death. In 2003 Sheikh Saqr bin Mohammad Al Qassimi, unexpectedly made the decision to dismiss his son Khalid bin Saqr Al Qasimi as the Crown Prince. The removal of Sheikh Saud’s half-brother from office was due to his hostility towards the invasion of Iraq led by the United States’ military. His political opinions put him at odds with the UAE Supreme Council’s political leadership. Additionally, some media reports state the removal of Khalid was partially due to his support for women’s rights and his opposition to Iran’s controversial occupation of the Tunb Islands. Khalid’s removal as Crown Prince and Deputy Ruler caused political unrest in Ras Al Khaimah. This resulted in street protests. But, the pressure for Shiekh Saqr to reverse his decision was futile. 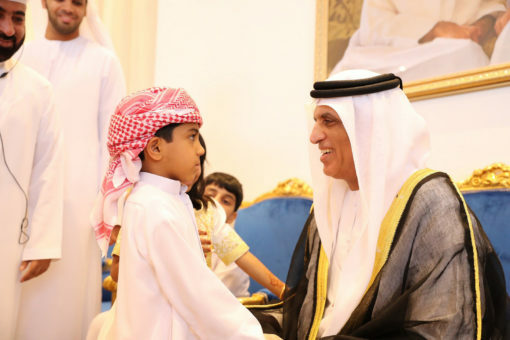 Following the dismissal of his half-brother, the Emirates News Agency immediately reported that Sheikh Saud bin Saqr al-Qasimi had been appointed as Crown Prince. Despite releasing a video proclaiming himself ruler following his father’s death, Sheikh Saud’s half-brother Kahlid received little support from the tribes of Ras Al Khaimah. 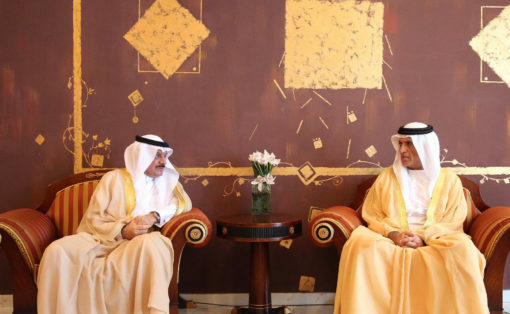 The Federal Supreme Council was quick to declare support for succession by Saud Bin Saqr al Qasimi. Following his appointment as ruler, Sheikh Saud declared 40 days of mourning for the death of his father. Shortly after Saud Bin Saqr al Qasimi’s accession as Crown Prince in 2003, the government formulated a comprehensive plan for development based on a study of available foreign investment avenues conducted by the World Bank. Subsequently, the government coordinated with the World Bank to host a conference entitled ‘Live and Invest in Ras Al Khaimah’ with the aim of presenting investment opportunities within the emirate to potential investors. As a ruler, Sheikh Saud draws on his experience as a business leader in the private sector. As a direct result of his business skill the Emirate has experienced an unprecedented level of economic development and growth. His reforms in a dramatic jump of GDP per capita in Ras Al Khaimah from AED 35,000 to AED 52,000 in the years betBesides to his economic efforts, Saud Bin Saqr al Qasimi has also made many initiatives for the social development of the Emirate. These focus on improving healthcare and education. To encourage local students to pursue higher education at first-class international universities he formed the Sheikh Saqr bin Mohammad Al Qasimi Scholarship Award. Additionally, the American University of Ras Al Khaimah, a non-profit, co-education institution for higher education was created in the Emirate. In 2007 the Ras Al Khaimah Centre for Advanced Materials was founded as a materials science research facility. With Sheikh Saud as a patron, RAK-CAM’s research addresses issues such as alternative energy, water purification and environmental preservation. Due to his direct role in supporting education within the Emirate, the University of Bolton awarded Sheikh Saud with an honorary doctorate. 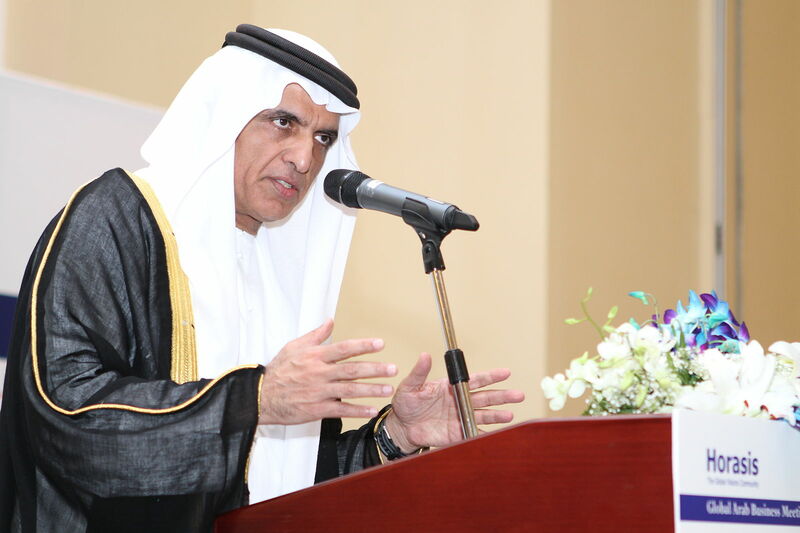 Determining the need for a medical university to train future generations of medical professionals, Sheikh Saud sponsored the construction of Ras al-Khaimah Medical and Health Sciences University. Established in 2006, the university houses the College of Medical Sciences, College of Dental Sciences, College of Pharmaceutical Sciences and College of Nursing. Then in 2007, Sheikh Saud opened the first premium private healthcare facility as part of a joint Swiss-UAE venture. Under the rule of Saud Bin Saqr al Qasimi the government of Ras Al Khaimah has been developing it’s industrial sector. It’s primary economic sectors include real estate, tourism, building materials, manufacturing, service sector, agriculture and fisheries. 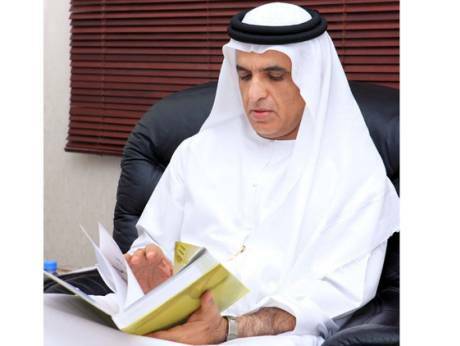 The economic development of the Emirate since the appointment of Sheikh Saud are exceptional. Additionally, many social reforms indicate an increased awareness for the need to improve healthcare and education within the Emirate. 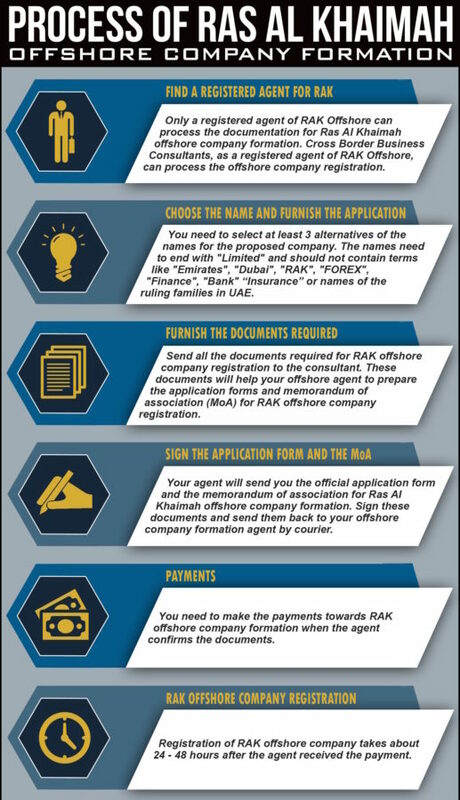 Ras Al Khaimah Offshore Company Formation, An Offshore company in Ras Al Khaimah (RAK) located about 100 Kilometers from Dubai can conduct business internationally, own real estate in the United Arab . 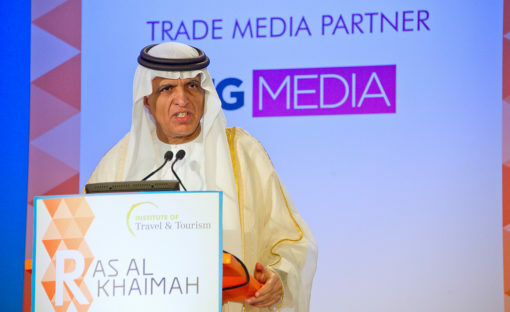 The emirate continues to draw an increasing number of visitors … sand, is attracting increasing visitors and tourism investors,” Haitham Mattar, CEO of the Ras Al Khaimah Tourism Development Authority (RAKTDA) The Ras Al Khaimah tourism agency expects to attract 100,000 new visitors this year, with a total of 840,000 visitors for the entire year. Happy People Happy Life in the 7 emirates of the United Arab Emirates. I’m really happy here in Abu Dhabi. Why on Earth would I … As RAK Properties boss Mohammed Sultan Al Qadi says, “Ras Al Khaimah still represents an affordable proposition for prospective buyers. Not only are …. I also find the culture and traditions of the people of RAK very fascinating. Did you know the UAE has been ranked the happiest country in the Arab world for the third consecutive year in the UN World Happiness Report 2017. The UAE … “We have happy people, satisfied expats, promising economy and a leadership which is keen on completing the mission. … United Arab Emirates.